Marvel Nemesis: Rise of the Imperfects finally arrives on the PSP and is easily one of the most definitive Superhero videogames on the market, provided you like the Marvel Universe with greats such Spider-man and Doctor Doom, there’s easily a character for everyone. To keep the spirit on the comic genre, the game actually uses concepts and drawings by artist’s extraordinaire, Jae Lee and Paul Catling who lend their talents to this well presented game that almost makes it an interactive comic. 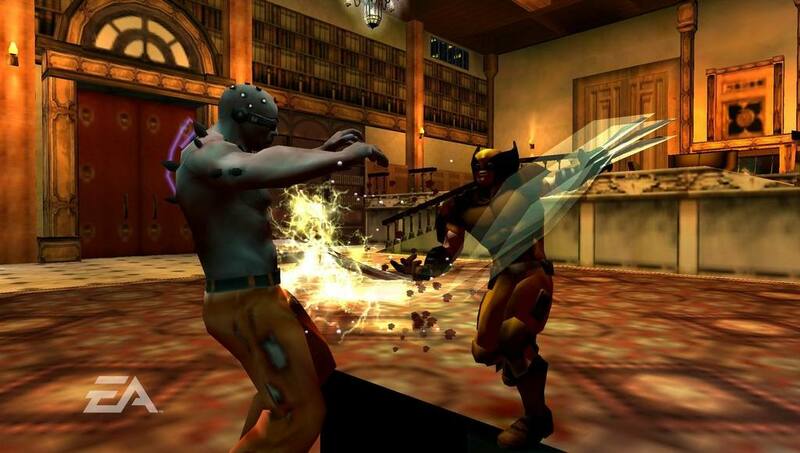 The gameplay of Marvel Nemesis is rather straightforward and in its essence, it's a fighting game that not only allows the player to interact with their environment but also gives you full 360 degrees control, up, down and sideways. With a variety of different gameplay modes, the main campaign mode allows you to select one character who then fights his way through the marvel universe with not only their super-powers but also gaming objects such as street poles, bricks or anything else that is interactive. The control system of Marvel Nemesis is extremely easy to use on the PSP that includes a basic attack button that will create combos with repeated tapping, a jump button, a lock-on/block/dodge button and a throw button. The left shoulder button controls movement powers, like Storm's flight and The Wink's teleportation while the right shoulder button applies superpowers to whatever you're doing at the time. Using too much of your superpowers depletes your power meter but it also fills up the rage meter which will grant you temporarily unlimited use of superpowers when full. Otherwise, the power meter recharges slowly on its own and you can accelerate the charge by holding down the right shoulder button while stationary. Unlike its big brother version on the XBox and the PlayStation, the PSP version features collectible card-battling that every time you defeat a foe in campaign mode, you are awarded a gold, silver or bronze medal, depending on the amount of time elapsed. Then, you're offered a choice of five facedown cards, the relative value of which will be determined by your medal ranking. Each card can be used in-game to perform a specific function, like refilling some of your health, boosting your rage meter or causing your power meter to regenerate faster; they're further distinguished by their duration, usability and rarity. Some special cards can only be used by a particular character, and others simply signify that you've unlocked a new venue or character. Initially I thought the card system was fiddle some but it actually improves the gameplay and makes you use your brain in the battles, rather than mash buttons together. Graphically, Marvel Nemesis: Rise of the Imperfects looks brilliant on the PSP, thanks to the presentation skills of both Marvel and Electronic Arts. The character animation is perfect and match that with a true 3D gaming environment and you have one great fighting game that includes substance and grace. Unfortunately the frame rate of the title sometimes drops but it's a small price to pay for such an attractive looking game. 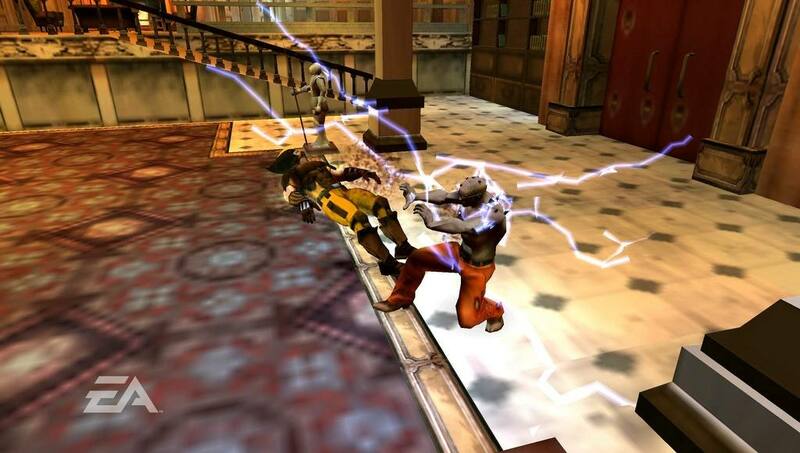 There is also a plethora of special effects in the game from extraordinary lighting effects to some great particle effects from the powers of the superheroes. All the sound effects of the title have been professionally implemented into the game and contain all the sounds of demi gods battling it out. Unfortunately the music of the title is a little dull and really doesn’t suit the superhero genre and what is really unusual is that there isn’t any voice acting which is strange for a fighter. In conclusion, Marvel Nemesis: Rise of the Imperfects is an entertaining fighter on the PSP that really sets it apart from traditional fighters such as Tekken or Mortal Kombat. With great graphics, addictive gameplay, Marvel Nemesis: Rise of the Imperfects is a worthy title to have but unfortunately the replay value of this is probably only limited to one or two plays. Still worth a look!